Steve's Service provides high-quality, competitively priced bathroom remodeling services in San Bernardino County. With more than 30 years of experience providing plumbing services to thousands of clients and having completed an incredible range of residential and commercial bathroom remodeling projects, you can trust that we have the expertise to complete your bathroom remodeling project to your complete satisfaction, on time and on budget. 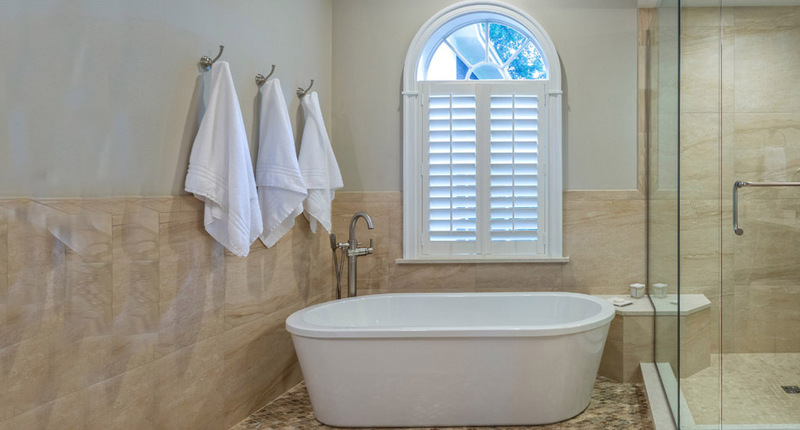 Whether we're simply changing out a few fixtures or doing a complete tear-out and renovation for a master bath, we aim to give every client a bathroom that is as beautiful as it is functional. For all of our bathroom remodeling projects, we provide step-by-step guidance to our clients, from start to finish. We'll help with the design, provide recommendations on fixtures, assist with permitting, make you aware of any available rebates or tax credits, order materials and products as necessary and coordinate their delivery, and follow today's preferred installation techniques. We'll also make sure all work is done to code. When it comes to home bathroom remodels, anything is possible. We'll work with your budget and get you as close to your dreams as possible. For our residential clients, we'll move fixtures (such as swapping the locations of a toilet and tub); convert a single-sink vanity to a double-sink/his-and-hers vanity; install custom showers; or even strip out the entire bathroom and upgrade everything--plumbing, electrical, drywall, tile, flooring, painting, and more. Steve's Service provides partial and full-scale bathroom remodeling services to businesses in San Bernardino County. We can install commercial toilets, urinals, automatic faucets, hands-free toilets, floor drains, and more. We welcome all types of projects, from simply changing out existing fixtures and toilets, to following a complete unique remodeling plan. We can also recommend upgrades to meet a particular need, such as improve energy efficiency, reduce maintenance, or increase usable space. We have relationships with many of the best brands for residential and commercial fixtures, toilets, showers, bathtubs, soakers, and bidets, such as Delta, Moen, Price Pfister, Kohler, Toto, American Standard, Sloan, Zurn, Chicago, Fisher, and Grohe. For all of these brands, our technicians are well versed in their complete product lines and very comfortable installing the full range of toilets, tubs, sinks, and faucets, including the very high end models. We welcome customer-supplied products and fixtures, but also offer special pricing on all of products because of the volume of business we do with our suppliers. Call today to learn more. We offer our bathroom remodeling services to all of San Bernardino County and always begin with a free, on-site estimate. Our prices are competitive because of the high volume of work we do, and we always look for opportunities to save our clients money.